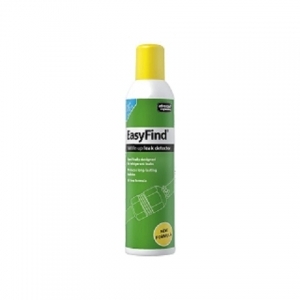 EasyFind Leak Detector by Advanced Engineering is available as a single aerosol, or in a pack of 4. The spray is used for finding refrigerant leaks on air conditioning systems. Specially formulated to find leaks on air conditioning pipework the formula has a higher viscosity than other leak detector sprays, hence it clings to the pipework better to reveal leaks.